The Obama plan covers veterans by making health care better, making the transition from soldier life to civilian life much easier and treating PTSD better. Under Obama, the new healthcare system would cover veterans and expand the veteran centers across the nation. Obama also will transfer the medical records system from paper to computer. This will cut down on time. Obama will also combat veteran homelessness and veteran discrimination. 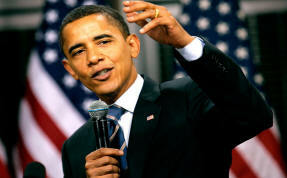 The third point Obama stresses is better treatment of post-traumatic-stress-disorder and traumatic brain injury. McCain plans to strengthen the G.I. education bill to help armed forces members transfer back in to civilian life. He also plans on greatly expanding access to good health care and disability aid to injured and disabled vets. 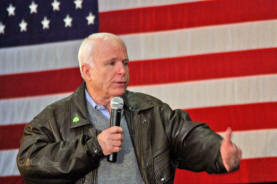 McCain wants provisions to help veterans with financial trouble. McCain also plans on expanding benefits to the families of military men and women lost in combat.